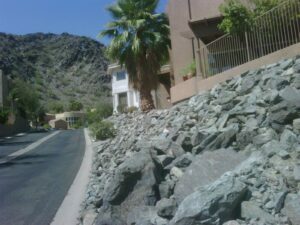 Most scorpions live in deserts and HOT, semi-dry climates like here in Phoenix AZ. However, scorpions also live all over the US and throughout the world. Scorpions are common household invaders and like to live in homes (and other structures) that provide cool shelter during hot days and warmth in the winter. 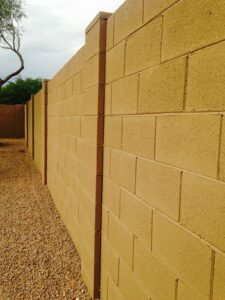 In the Greater Phoenix AZ Valley, a favorite place scorpions like to live is inside concrete block wall fences that devide back yards and neighborhoods! Bark scorpions are the main type of scorpion in these areas, and Arizona Bark Scorpions are the most venomous scorpions in the USA. Bark Scorpions prefer areas that are cool and have an air flow. Cracks, crevices and voids inside concrete block wall fences provide ideal conditions for scorpions to THRIVE. Scorpions in AZ also like concrete expansion joints and small crevices under concrete. Arizona Bark Scorpions like to REST on vertical objects like palm trees, bushes, stucco siding, and of course concrete block fence walls! There are also quite a few scorpions that spend daytime hours underground inside burrows. Scorpion burrows can be over 3 feet deep, depending on how dry the ground is because scorpions dig deep enough to feel moist and cool. Phoenix Valley residents are often worried there’s scorpions in their attic. However, scorpions do not inhabit attics when temps rise above 100 degrees. (Source: Smith & Whitman NPMA Field Guide) Usually when scorpions get inside through vents, they’re coming from the exterior of the house, entering cool vents and then falling through them into the home. 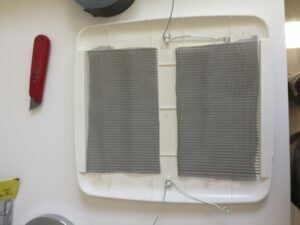 That’s why we seal vents for you, or show you how to do it yourself! Scorpions have to conserve water loss and are comfortable in cool moist areas with an air flow. If scorpions do nest in an attic during the winter they will come down through wall voids or exterior vents during the early spring. If your home has an active scorpion control barrier, those scorpions will contact the product application and die shortly thereafter. Got Scorpions? It’s stressful always worrying about scorpions & getting stung. You don’t have to live like that! 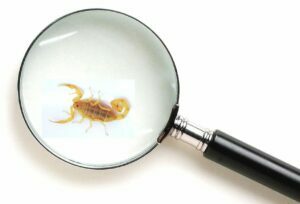 Control Scorpions and the pests they eat with the Pro’s at Responsible Pest Control! Responsible Pest Control specializes in EFFECTIVE scorpion control that actually kills scorpions themselves and the other bugs they eat! We highly recommend monthly service for the most effective scorpion control because it doesn’t wear off between services. Our scorpion pest control pro’s are trained to treat specific areas directly where scorpions live with powerful products that are effective against these stubborn pests and FRIENDLY to children and pets when applied Responsibly! 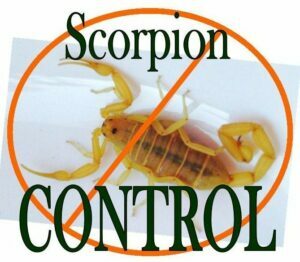 Delivering EFFECTIVE Scorpion Control in Mesa, Phoenix, Glendale, Scottsdale, Chandler, Gilbert, Queen Creek San Tan Valley, Maricopa, Tucson AZ & surrounding areas!